As a business owner, you are building your business, your presence online – digital marketing and that is extended to social media. Side note: if you are NOT on some platform for your business in the social media world, you are missing out, period! As such, you will have your personal Facebook (or other social media) as well as your business Facebook (there IS a difference). Keep in mind that you may, or may not, being doing the same things on your personal side of social media as you are doing on the business side of things. Sometimes, that is extremely important and the best way to look at it is… dependent upon your target market. Touchy subjects/issues on social media: it’s no shocker but are politics and religion and other hot topic items like maybe abortion, gun laws, LGBT rights, etc. So, then what do you do? Well, you can keep these things OFF social media completely, for one, or you maintain your personal and business pages completely separate and do so on your personal only. However, you must know there typically isn’t a HARD division between these two – personal and business, especially if YOU are your brand. It’s obvious that you will have followers who may not agree with your position and well, that might get you extra attention… and well, not always is extra attention a good thing. Remember that you are on social media for business which means that you are building a brand there. And often times there are certain things that maybe you shouldn’t be engaging with on your business page. Now if you engage in touchy material, then you will be judged (like it or not) based on how you engage and react. So consider where you are posting and how you should engage on those profiles with respect to say political and religious nature. However if your business is political then by all means that’s what you’re there for. If you are a very religious person and you post religious posts and that is something that you really believe in then that of course, like anything else, is your choice. Though, if you offend someone or they don’t agree with your stance, party, religion, widgets, sense of humor or whatever then they may likely not be your customer. However again, if you are a religious person or with one political party per say and find that this is whom you would rather deal with then that is perfect. My point (and this blog) is not to have a political, religious or argumentative discussion about hot topics but just to remind that how you are and how you represent yourself as your brand should represent your target market appropriately as well. And yet, in that same instance, you do want to represent yourself and your brand, especially as a small business owner, as a human being with feelings and opinions and such.. just know how it could affect your target market because ultimately you are in business to have customers.. to sell your product or service and unless you are a political figure, a preacher or etc, then your business may not be your soap box for those conversations. I think there is nothing better than having a business with such vibrancy and passion than that of the owner behind it… just be sure to use your voice well and with the best interest of your business and your target market! 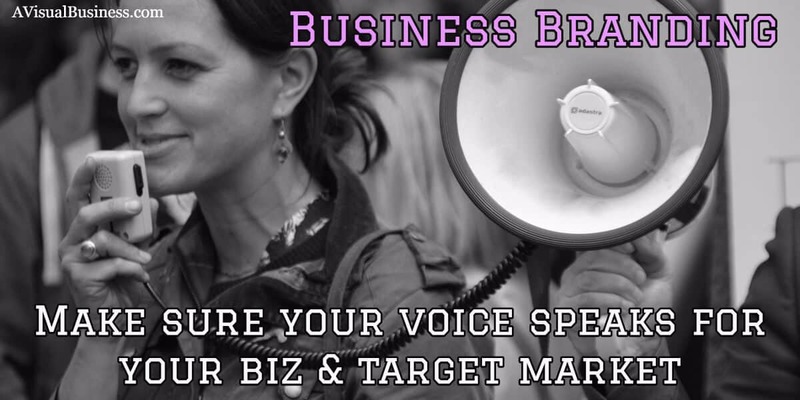 You have a business to sell – be sure your brand’s voice represents your target market. This was an off topic for me to share and it has been in draft for over a month but thought it would be a good reminder…feel free to share your opinions in the comments below and know… it’s okay, I know we may disagree… we can’t ALL be the same, can we? This is great advice, Kristen. I do keep my business (editorial) and personal (author and me) separate. My business pages never include political stuff, but my personal ones do, although now and then. Because my own novels often deal with sticky subjects, so do my personal and author posts. But the biz one? Never! That also goes for business blogs too Susan. But if you are okay with attracting only your political side, then I guess that’s okay… you’ll just lose the majority. As much as I’d like to wax poetic on social media about my personal beliefs (from politics to religion and everything in between), I resist the urge. I totally agree with you – my personal name and my personal social media accounts are interchangeable with my business brand. The fact is that everything online is public. Maybe I don’t share everything online publicly, but anyone can share without my permission or hackers can get to it. You’ve given people a ton to consider. Your brand is important, so we’d all better take a deep breath and consider what we choose to put out in the atmosphere. Oh girl I know. I only share my personal experiences… not hearsay or the world is going to end, regardless. With you Meghan! Good reminder, Kristen. The line between personal and business pages really does become blurred so it’s important to be aware of what you are posting on both pages. I try, as much as possible, to steer away from politics and religion. They are not things I blog about and if I need to vent, I do it verbally with friends. That way, the things I post reflect what I write about and I don’t muddy the waters by trying to get into ‘hot’ topics. This resonates with me. As I was building my facebook business page, I resisted the urge to post bible verses, etc. However, as time went by, I felt as if I was not being true to me (honest). I wanted to post verses, and in not doing so, I felt my page was not who I was. Yes, I know it may offend some, but I would rather be “just me”. It truly is a personal decision for each of us. Great article to keep us all thinking, and to help us be open minded. I appreciate this blog Kristen. Now that I have come out of the closet as a psychic, I have thought a lot about this myself. For many years I had two websites. One was my woo-woo site and the other was my professional site as a mental health counselor. Since I was all over the internet I couldn’t hide any longer. My counseling clients would get my name from their insurance company and search for me on the internet. It has taken some work to educate clients before I see them at the difference between my services as a counselor, coach and psychic. I was so happy to get down to only one site. I am open minded and can support and listen to many different perspectives. As a counselor it is necessary to create a safe place for clients and I have had many whose beliefs are very different than my own. What their religious and political beliefs are, unless they are injuring themselves or others, is not important. What is important is to support and honor others where they are. Just a great perspective Candess, hadn’t thought of that one.. but I can see how this might have previously been an issue. Well said on this post! I love that you pointed out that there is a difference between the personal and the business Facebook page. It took me a while to really grow into who I wanted to be on social media and how I wanted to represent my brand and business. I typically stay away from things that are political or argumentative in nature on social. I do share personal quotes, opinions and bible verses! I see the changes in yours and it all looks great Geniece! I feel your passion on this topic and I really like the title of this blog too. We follow these guideline pretty easily perhaps more out of not interested with focusing on the media and more passionate about helping women uplevel their life and/or business with the right mindset, confidence, clarity, right actions, etc. Unfortunately, current reality does not always focus on the positive and sabotages trying to uplevel yourself. This info will help many too. Thanks. It just goes to show that you never really know what you write about can blow up. The things you expect to be controversial may not be, and then something else can blow up and go in either a helpful or detrimental direction. But we can at least be conscious of what we post. Yea Jennifer, I get it and that worked for her.. but what if it didn’t… obviously she was willing to risk that… but if it didn’t.. I am sure there would be a HUGELY different story to tell and well… a LOT less money! I relate very much with your advice Kristen. At the start of my business, I did not draw the line between my business (which is me) and my personality in general. I agree with you that we should have this in mind and stay awazý from topics that do not relate or reflect our brand. What a great reminder, Kristen. I usually stay away from political and religious topics; especially on my business page/groups. Sticking with topics that relate to our brand and our audience is a great reminder. With all the issues with United airlines lately, I was thinking about writing a post about United and leadership decisions. I think it’s a double edged sword because some people may be offended and disagree, yet, as you put it… we may disagree and it’s okay:-) We can’t always be the same. THAT would be boring. Completely agree with this Kristin. I keep most of my personal beliefs off of social ~ it’s just not worth the controversy and comments, even when I didn’t mean anything by it! I found even “liking” certain posts would show up in people’s feeds and irked them in some way. Sometimes you just can’t win. And, if your brand is tied in with you as a person – I think it’s just best to avoid it! Focus on the positive fun things! YESSSS on the liking posts.. but I did that too but that was my way to support but not get involved in the bantering, that is pointless. So true Anne! I’m also in the camp of keeping political and religious comments separate from my brand. I’ve walked away twice from marketers’ monthly membership sites because they turned it into a platform to promote personal beliefs. It also becomes a challenge when you don’t feel comfortable promoting a blog because it’s personal message is outside the content your audience expects to find. I feel that your content and messaging defines your business brand. There’s another audience that relates to and supports your personal brand. Oh yes.. I am soooo with you on the sharing of blogs that don’t meet your persona Joyce!